Android: Google makes some amazing doodles, but every so often they go beyond a drawing. Some doodles include games or an informative piece about the person or holiday they're celebrating. 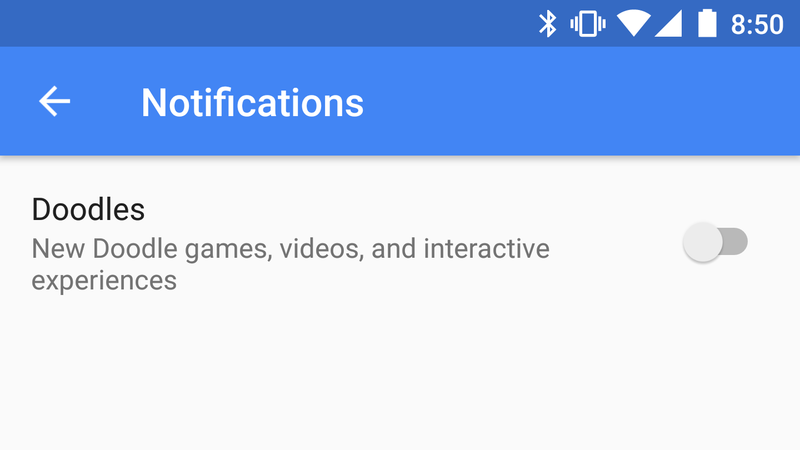 Now, Google can give you a notification whenever there's a cool new one. After this, you'll get a notification from the Google app whenever there's a new interactive doodle. Presumably this won't bother you when the doodle is just a piece of artwork over the Google logo, but you'll be notified of anything special.